Whether smoking or grilling, whole chicken breasts are a great choice, being easy to prepare and healthy to eat. The white meat is naturally low in calories, total fat and cholesterol. Whole breast sections are one side of the chicken breast and include the attached bone and skin. Depending on how you cook them, the skin can be left on or removed. If you pay attention to the supermarket sales, you can often get the breasts at a pretty good price, especially if you stay away from the premium name brands of chicken. You can also spend a pretty penny if you buy chicken that's organic or advertised as "free range". 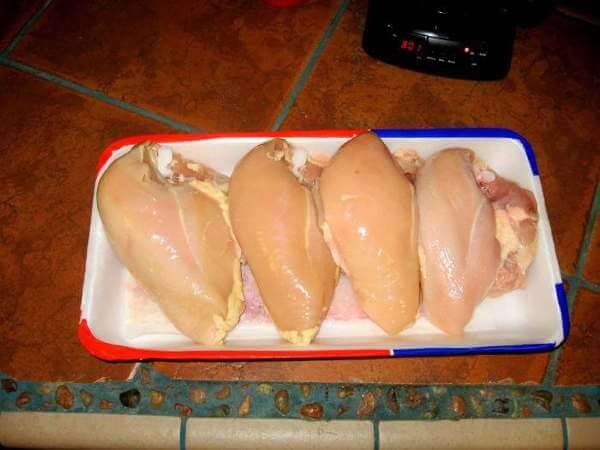 The package of chicken breasts in the above picture cost $1.99 a pound, which isn't too bad of a price. There's a lot of white breast meat in relation to the amount of skin and bone attached. The breasts can be seasoned and cooked with the skin left on if they'll be grilled, or smoked at a higher than normal temperature. When smoking skin-on chicken pieces at 300-325 degrees Fahrenheit, the skin will brown and become crispy. If the skin is left on when smoking at 225 degrees, the skin will end up soft, rubbery and not too appetizing. Well that was a snap! The skin was easily pulled off of the chicken breasts, and the small deposits of excess fat were removed with a small, sharp knife. I normally don't remove the bone, since leaving it on has a few benefits. 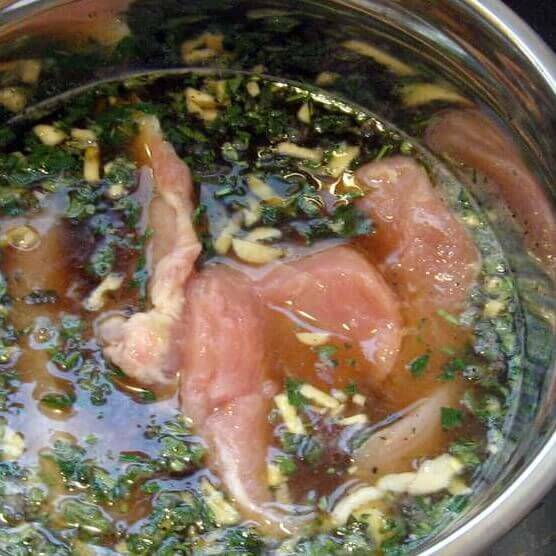 It protects the breast meat from drying out and it adds some flavor to the meat. It also holds the breast meat together nicely. Whenever the breastbone is removed, the small breast tenderloin muscle tends to fall away from the main section of breast meat. 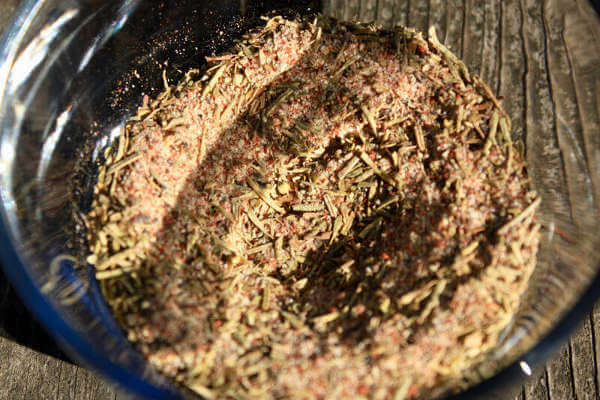 One of the benefits of removing the skin is that brine and dry rub seasonings get right on the meat, flavoring it nicely. The negative is that the skin helps protect the meat from drying, which is more important at higher temperatures. At typical smoker temperatures removing the skin isn't such an issue. After chicken breasts have been brined, place them on a rack to dry before placing them in the smoker. That'll help in the meat retaining its juices, plus drying will make the chicken look better after it's smoked. 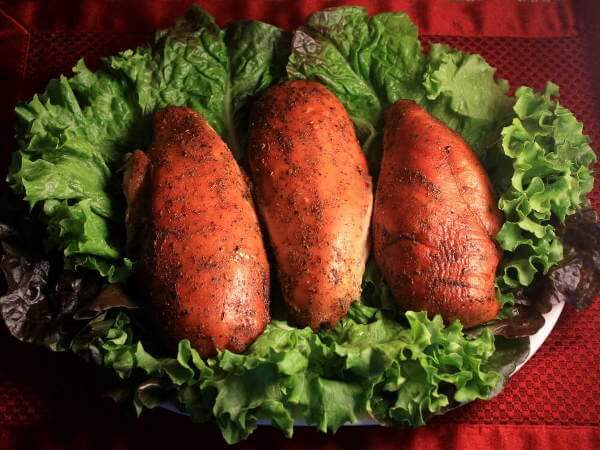 Instead of brining, the chicken can be coated with a spicy dry rub mixture. 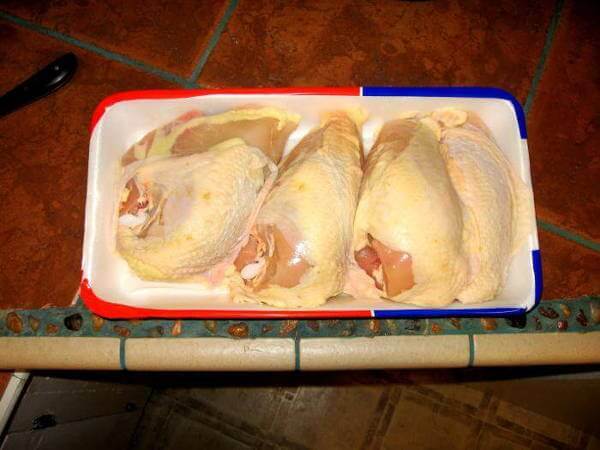 Be sure to coat all sides of the breasts for best flavor. And if you want, you can both brine AND dry rub the chicken. That makes them really good!